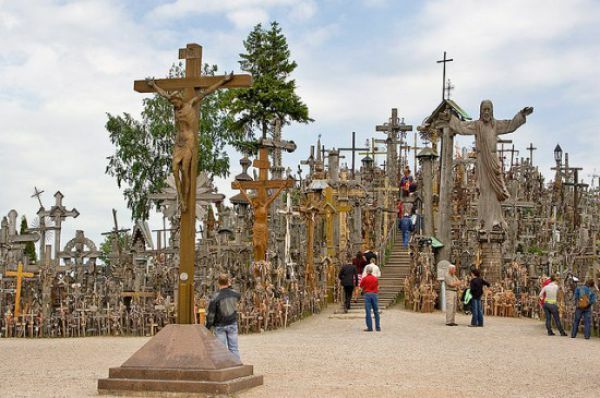 Check out a hill so full of crosses that they literally lie on each other. You have to need a lot of prayer power to have a hill that full of crosses. The hill has over 100,000 crosses and when the Pope visited he claimed the area as a place for peace, love, sacrifice, and hope. It should be considered a revered place as it was destroyed on several occasions. 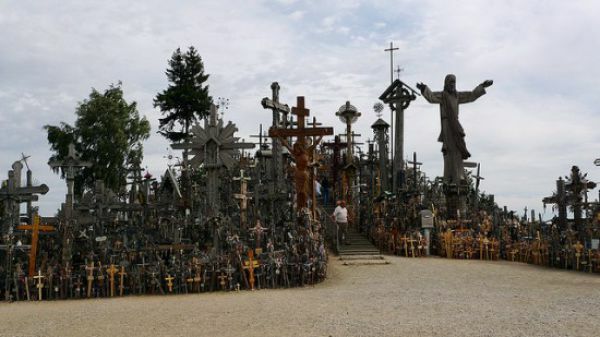 It was razed to the ground and garbage thrown on it many times, but that did not stop the Lithuanians from recreating the hill of crosses. The hill is a place of nationalism and an international place of pilgrimage. They say that this hill dates back to the 14th century during the age of the Teutonic knights. You can find the site 12 kilo’s from the small city of Siauliai. 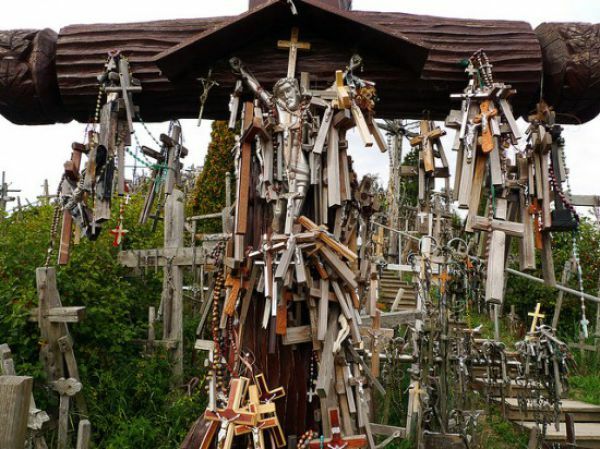 The Hill of Crosses is doused in history. 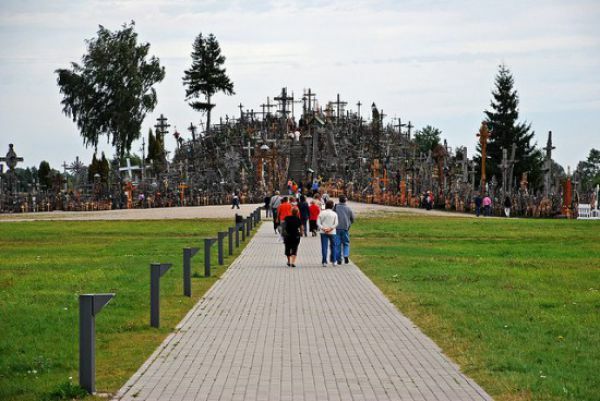 The first crosses were laid during the peoples fight for independence and their fight against foreign invaders. It then became a stand against the struggle of the church against oppression. Crosses were added again from 1831-1863 as the people added them in protest. 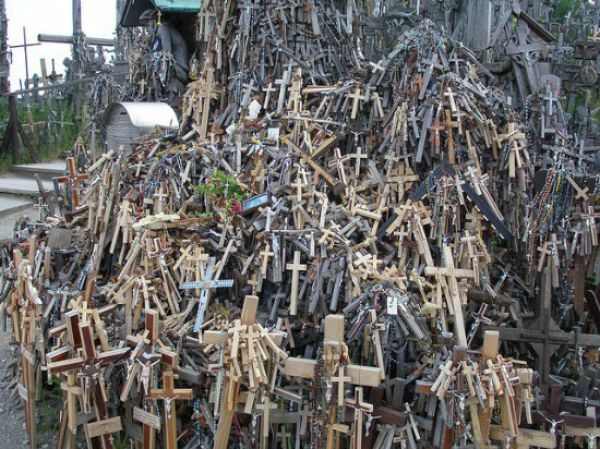 By 1895 there were 150 crosses and by 1940 the cross total was up to 400. When the soviets took over after World War Two they razed the hill on 3 different occasions, 1961, 1973, and again in 1975. Destroying the crosses with fire and melting the metal ones, but this didn’t keep the Lithuanians from rebuilding their hill and adding the crosses. Even though they had to cross patrols and through barbed wire they went to the hill and added crosses. 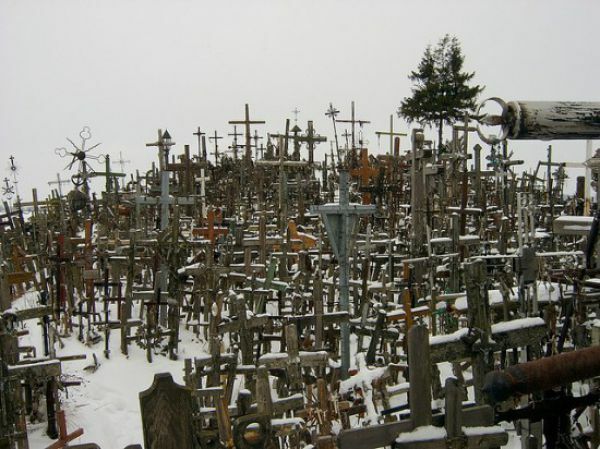 In 1985, the soviets finally left the hill alone and pilgrims from around the world made trips to see and add their own crosses. They say that the site is overwhelming and that the wind that moves through the hill makes a beautiful sound. Learn Something Fun: Lithuania became independent of Russia after the First World War in 1918. However, the Soviet Union invaded the country in 1940 to be followed by the Germans in 1941 and then the Soviets again in 1944. Lithuania declared independence on the 11th of March 1990. Following the abortive coup in Moscow in 1991, the Soviet Union recognized Lithuanian independence on the 6th of September of that year. Lithuania rulez:) come to visit.